I can hardly believe something I remember so well happened 20 years ago! In 1988, there were a lot of big events in Australia because of the Bicentenary. 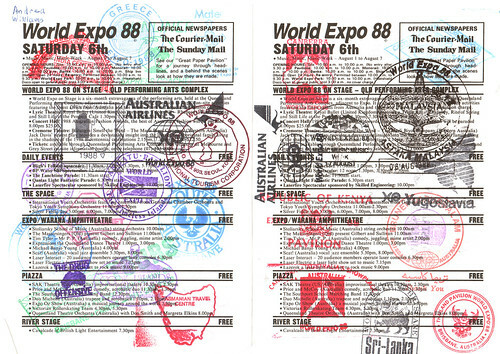 In the summer of '88, my family spent three days at the World Expo in Brisbane. 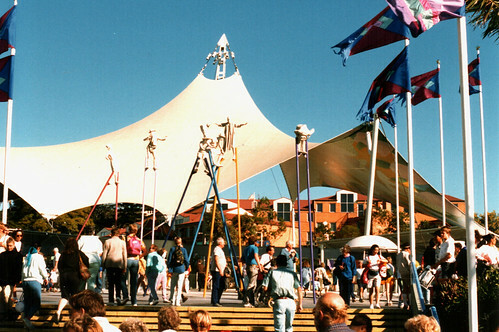 For me, going to Expo 88 was infinitely more exciting than a visit to Disneyland. I suppose learning about different countries and cultures always appealed to me more than fairy tales and cartoon characters. Not that there weren't cute animal mascots at Expo. That's my brother and I with Expo Oz. Oz is, quite obviously, a platypus dressed in an Anzac-style slouch hat. I was very fortunate to go to Expo at exactly the right age to appreciate it. I think it set me up for a lifetime of curiosity about other people and places. 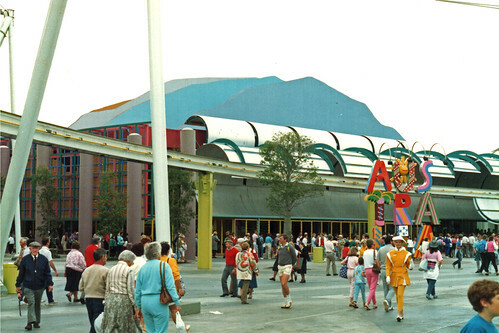 Is it just my imagination, but didn't we ride on a chairlift in the Switzerland pavilion? I have a vague recollection of a ski lift at the Switzerland pavilion, too, but I wasn't sure if it was for passengers or just for display. I remember it was at quite a steep angle up the centre of the building. With our combined memories, I'm going to say that we did indeed ride in that chairlift. Oh, hey! 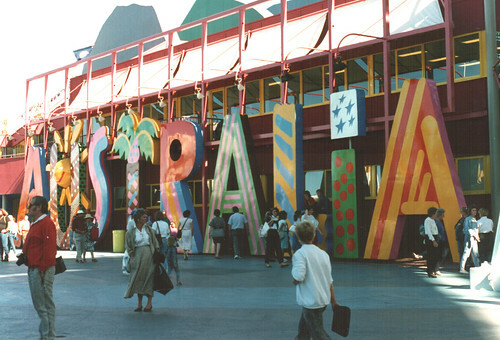 I searched the Expo 88 Flickr group and found photo evidence of it! They built a ski hill in Queensland! 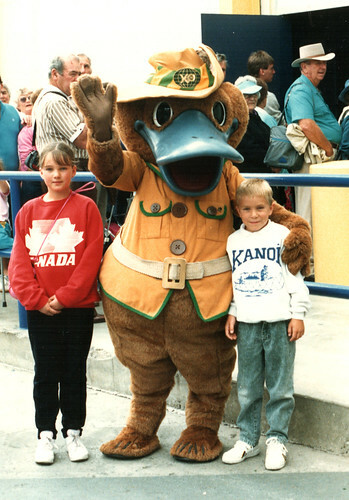 I was so young when I went to Expo 88.. this just brought back a flood of memories.